You’ve worked hard to make your property a place you can be proud of. 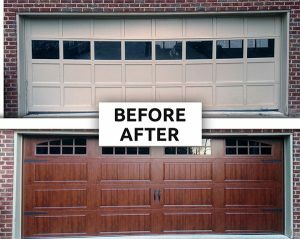 Is your current garage door installation in Vancouver ready to defend your investment? At Door Aid, we’re firmly committed to ensuring that the residential and commercial garage doors that Vancouver’s citizens depend on are up to the task. Call 778-650-0400 now to learn how we can help you improve your property. Professionals make garage door installations seem like an easy task, but these relatively quick jobs have effects that last lifetimes. Those who install garage doors in Vancouver know that small choices can permanently impact a property’s security and energy efficiency. They also leave indelible marks on the occupants’ quality of life. From keeping Mother Nature outdoors to improving curb appeal, a good installation goes quite a long way. Our garage door installation techniques are grounded in years of training, practical experience and strong relationships with trusted manufacturers. We love solving novel engineering and construction problems, and we’re proud to have helped countless Vancouver property owners benefit from installations that stand the test of time. No matter what challenges your unique property poses, the Door Aid team is ready and willing to complete your garage door installation flawlessly. We minimize our footprint while we work and perform rigorous quality control inspections to ensure that the results remain fully functional through thousands of use cycles. Thanks to our exhaustive experience, we can even help you avoid problems by troubleshooting potential design conflicts and offering suggestions before installing your garage doors in Vancouver. Door Aid’s cost-effective, intelligent installation options make it easier to enjoy the benefits of property ownership. Discover why those who need new residential and commercial garage doors in Vancouver trust us with the assets that they’ve poured their sweat, tears and livelihoods into. Call 778-650-0400 to Get a Quote, or Contact us Below!